I like Polaroid cameras and photos taken with Polaroid camera. But I don’t have one yet in my life. I always have been wondering of making Polaroid effect photos using Photoshop before. And of course, I did some of my photos to make Polaroid look with Photoshop lately. But as you know, not everyone familiar with Photoshop tools and it is not really easy to do. So I tried to look for an online tool to convert Polaroid effect from digital photos. I found a service called Rolllip. 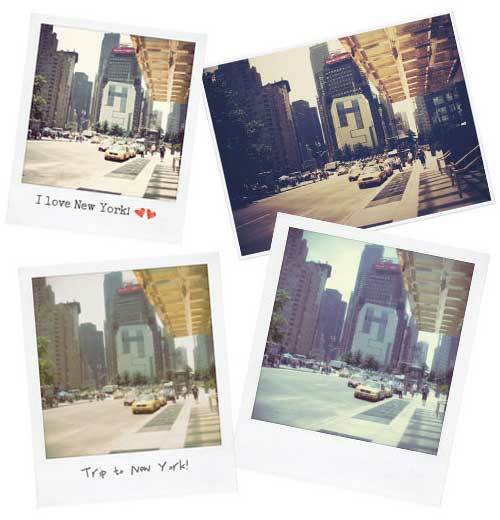 Rollip allows you upload your photos and convert it into Polaroid photos within few clicks. All you need to do is to choose the effect, upload your photo and caption it. Then it will give you download link, so you can download the photo or share it on your social network of choice or by e-mail. Every photographers want to know camera’s shutter count which is the number of shots has been taken with their camera stored in a photo’s EXIF data information. Or some people want to know before they buy used camera because they knew that shutter has its limit (don’t worry, you can change with new one). If you’re using NIKON SLR camera, Opanda IEXIF is ready for you. Opanda IEXIF is a free EXIF reader program that can read all the information from a photo taken by Nikon SLR cameras. To read EXIF data, click Open menu and select the photo you just taken now. It will show all the EXIF information like, Camera model, shutter speed, aperture, flash fired or not, etc. To find Number of shots, see “Total Number of Shutter Releases for Camera“. Here mine is 15,377 :). Card.ly is a social networking tool to create your social networking profile very easily with just a few clicks. You can add your social networking profile like Facebook, Twitter, Flickr and display them in one stream media. People can find all your social networking profiles and connect you through Card.ly. 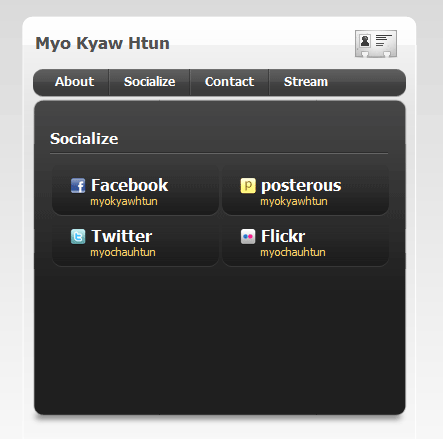 You can get your username in Card.ly (example: http://card.ly/myokyawhtun) and choose card templates. Though it is FREE, it also has premium account $2.95 for a month that include several skins, ad removal, and analytics for your card.